It is natural to be concerned about scars. Scare were named as one of the top 5 concerns of people considering cosmetic surgery. All surgeries will create scars, but you have options to ensure that your scar will be barely noticeable. Your doctor will strive to create the best scar result by strategically placing your incisions and using special suturing techniques. Your doctor also recommends using Silagen line of silicone products to refine your scar’s appearance as it heals. Clinical studies show a greater and faster improvement in scare maturation in patients who use silicone over patients who do not. Early intervention is the best way to help prevent excessive scarring. Silicones like have been used for more than 30 years to reduce the appearance of hypertrophic scars and keloids., It has been proven to flatten, soften and reduce the redness associated with excessive scarring. 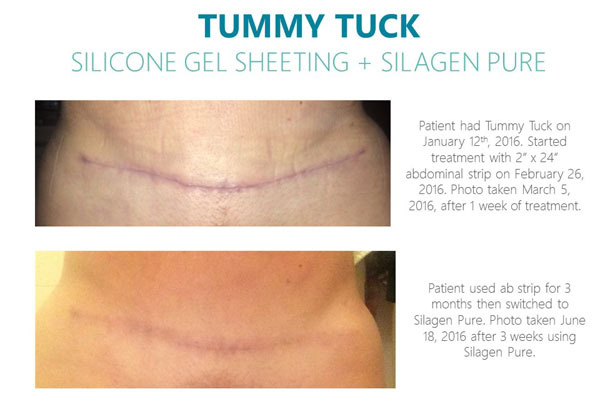 Please speak to any member of the Lake Mary Plastic Surgery team or Dr. Shoukas about how Silagen may be right for you. Dr. James Shoukas proudly serving patients from Lake Mary, Sanford, Longwood, Orlando, Winter Park and Daytona Beach.